We have many wonderful retreats at Living Forest. We welcome you warm heartedly to join us! Join the creator of Living Forest; Johanna Harmala for this five day retreat. Out of our busy lives we get back to simplicity, to sensing, feeling and being present with our selves and others. A program of yoga, dance & movement, journaling and art work is tailored to bring you deeper into your self and into a creative flow of expression. Deep healing, insights and shifts happen when we get together in this supportive and nurturing environment. Commune with nature, go with the flow, have some hammock time – there is lots of time to relax and get rejuvenated. One day we will adventure out for a fun excursion. Join us, you will be glad you did. Join Gretchen from Luna Yoga Tribe to do BUTI yoga! 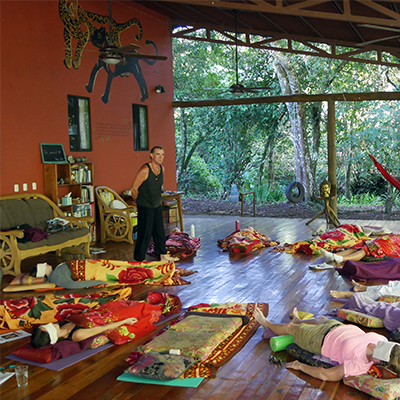 This will be an invigorating retreat with lots of time to relax and explore also. We are excited to welcome Gretchen to Living Forest! 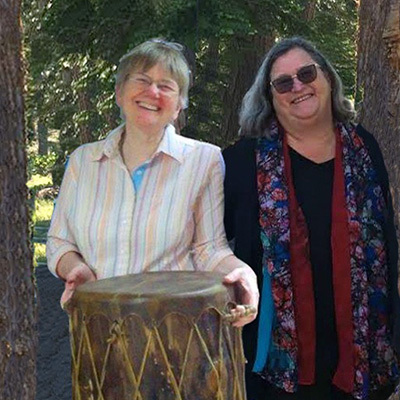 This is second time Patricia and Cheryll will lead an amazing drumming retreat at Living Forest. 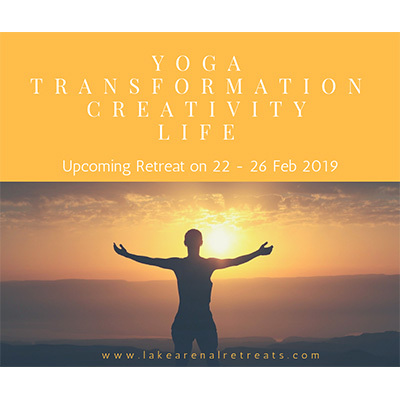 At the Rhythm of Nature – Nature of Rhythm Retreat we will revitalize our natural connection with the rhythms of the earth, playing rhythms with the trees, the rivers, the butterflies. As we drum in Nature, we will bring heightened awareness and keen listening that opens the door to developing a new relationship with ourselves and with the Nature that surrounds us. Due to Vinod’s popular workshop with us last year, we are excited to invite Vinod back! Whether you joined us already or this is your first time, you will be inspired to dive deep into shamanic practices and tap into the innate wisdom we all have. Immerse yourself in the vibrant jungle of Costa Rica at Lake Arenal for six blissful days of yoga, meditation, self-care, exploration, and rest. 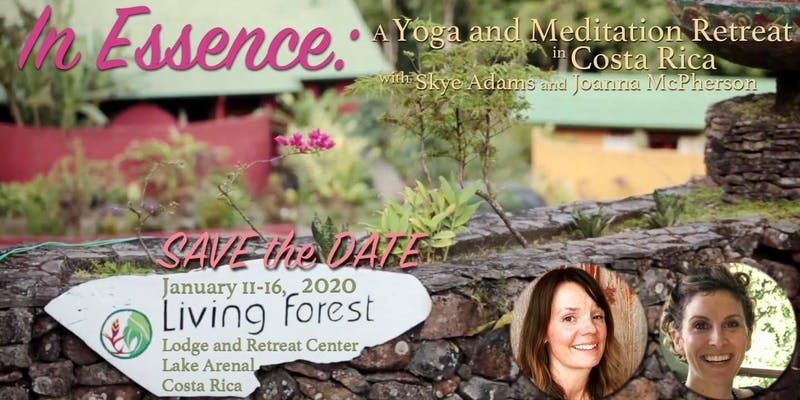 Join Skye Adams and Joanna McPherson in this intimate experience with time to relax, move, breathe, connect, and heal. are constantly adding new retreats and events, so be certain to check back with us often. Want to host your own special event? Get in touch with us here.